The Free DriveSize helps to select an optimal motor, drive and transformer. DriveSize can also be used to compute network harmonics and to create dimensioning documents. It contains current versions of our motor and drive catalog. 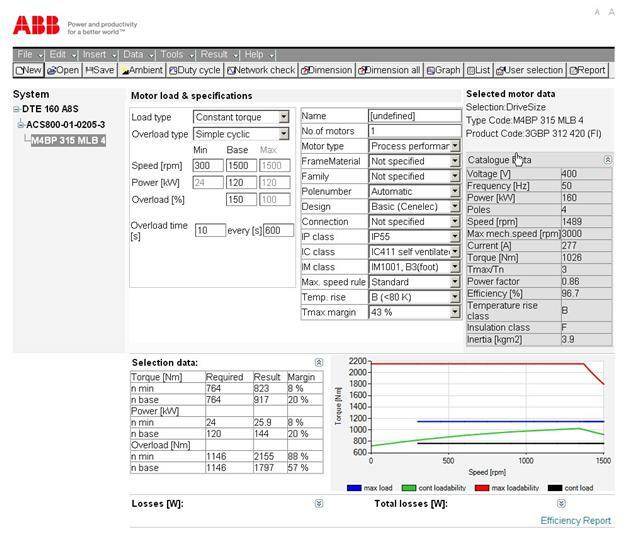 This free software can be downloaded from the ABB website at the below link.